Did you know that the average person has 5 million hairs? Hair grows all over your body except on your lips, palms and the soles of your feet. It takes about four months for healthy hair to grow an inch. Most hairs grow for up to six years and then fall out. New hairs grow in their place. Men - and some women - lose hair as they grow older. 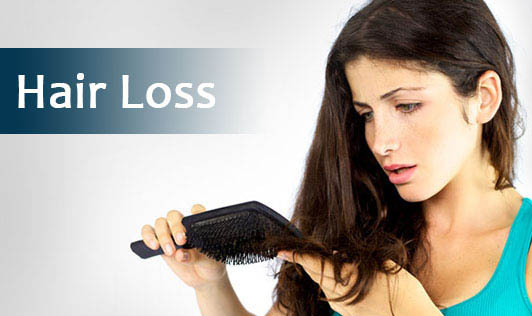 You can also lose your hair if you have certain diseases, such as thyroid problems, diabetes or lupus. If you take certain medicines or have chemotherapy for cancer, you may also lose your hair. Other causes are a low protein diet, a family history or poor nutrition. Can vaccines cause hair loss? A recent study suggests that hair loss may occur in a few persons who have received vaccinations. This side effect, if confirmed by other studies, would be considered very rare. Other studies to further investigate these findings are underway. From 1983 to 1995, 60 reports of hair loss were identified and evaluated among persons who had received vaccines. These few cases of hair loss were out of the hundreds of millions of doses of vaccine that have been given to the general population. This study alone cannot prove that vaccines cause hair loss. There may be other health conditions responsible for the hair loss that could not be identified. The study of these cases was conducted using information gathered from the Vaccine Adverse Event Reporting System (VAERS). VAERS reports can be submitted by anyone who has received a vaccine and has concerns about health problems that occur afterwards. Which vaccines were looked at in the study? All vaccines with reports of hair loss were investigated. The hepatitis B vaccine appeared more often than other vaccines to suggest an association with these rare cases of hair loss.